You still have lots of time to hoard books! 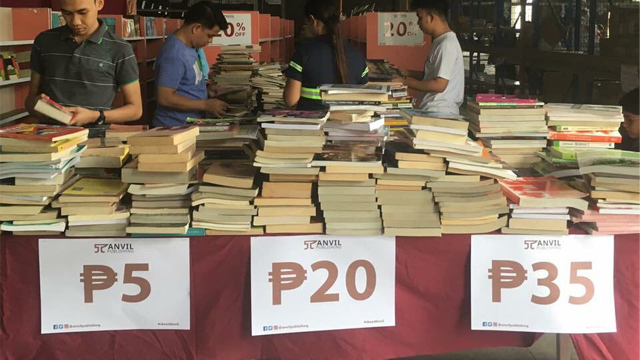 (SPOT.ph) Get ready to hoard as many books as you can for yourself, your friends, and your inaanaks because an 11-day book sale is ongoing! 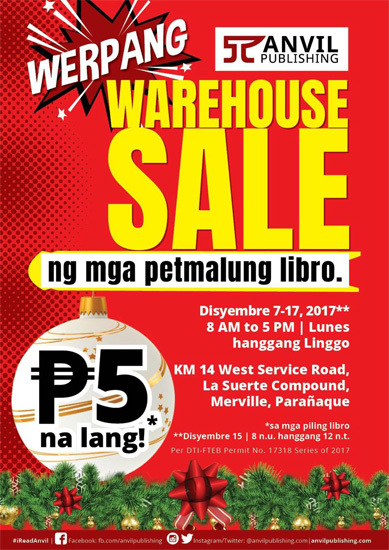 Anvil Publishing is having a Warehouse Sale from December 7 to 17, 8 a.m. to 5 p.m., at KM 14 West Service Road, La Suerte Compound, Merville, Parañaque. 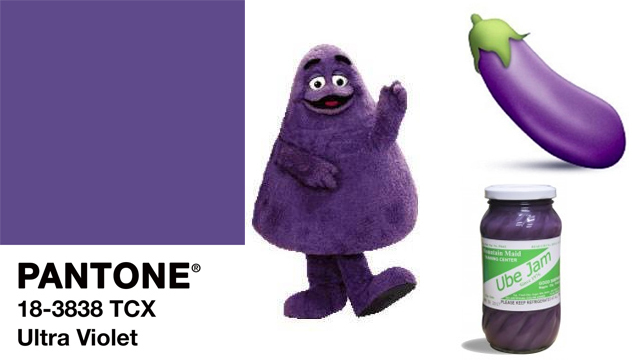 And they take sales seriously. This year, shoppers can score select titles for as low as P5! 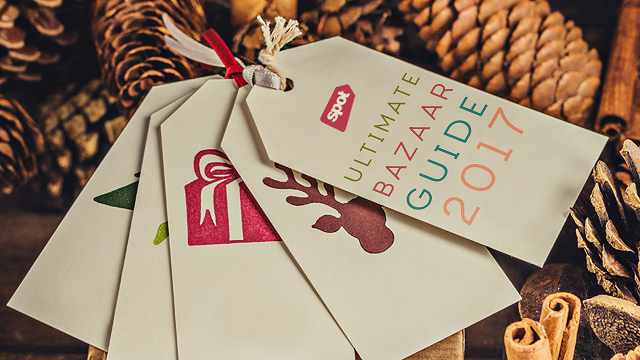 So ready your shopping bags because it looks like you're going to do some serious book shopping.